Gena Fowler lives in Santa Fe, New Mexico where she has been a ceramacist for the past 20 years. 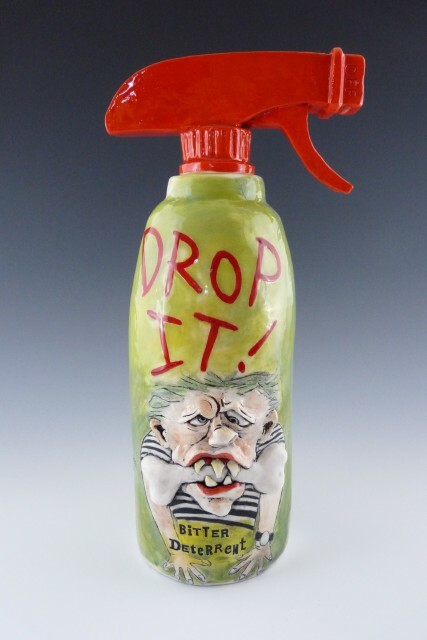 Fowler's humorous messages belie the skillful craftsmanship of her porcelain art pieces. The pill bottles double as "therapy rattles". They come in a variety of "prescriptions." Each product has been inspired by a need for something that does not exist in the real world.